Episode Review: GLEE, "A Night of Neglect"
Much like 30 Rock, I was expecting Glee to come back from its break firing on all cylinders. Instead of a great episode of the show, "A Night of Neglect" caused some conflicted emotions. While I found myself laughing a lot, the story itself wasn't very impactful. Unlike most episodes of Glee, I didn't think "A Night of Neglect" had too many plot threads that got all tangled up in a big ball of mess. From what I could tell there were only a handful of main stories with a few side shows thrown in for good measure, but they really didn't gel. The catalyst for the episode had to do with the fact that Sue was hiding her Cheerios money in an off-shore account, which meant New Directions was still broke and needed a way to get to Nationals. For some reason, Schue thought that selling salt water taffy was the key to their financial woes, and of course everyone complained about his sucky ideas. Of all people, Mike got fed up and was about to storm out because he was tired of listening to the gleeks complain about getting zero respect when the academic decathletes (comprised of Chang, Tina, Arite, and Brittany AKA the Brainiacs) get even less love. They needed money too so they could go to the academic decathlon finals in Detroit, so Will decided to up their taffy selling goal to cover the cost. The whole Brainiac plot point really didn't have anything to do with the actual episode aside from being the spark that led to the benefit concert known as the Night of Neglect, which Holly suggested they do instead of selling candy at a quarter a pop. While the decathlon angle didn't add anything to the greater narrative, it was nice to see the quartet do something besides sing and dance. I doubt we'll ever hear about the Brainiacs ever again, but it was a fun little detour for a few minutes. Speaking of Holly, she was back from who knows where and it was obvious right off the bat that this was going to be her final appearance for a while. Of course, she and Will had to constantly talk about her transient lifestyle and how they both knew their relationship was not built to last. A combination of her seeing Will share grapes with a distraught Emma (because Carl left her) and a sweet job teaching French in Cleveland meant that Holly's five-date tryst with Schue was coming to an end. Even though the show warned us that Holly was only temporary (and because the show cannot afford to keep Gwen around forever), seeing the Willenholly relationship flame out so quickly was kind of a bummer. Not because I was invested in the couple, but because it felt like a gimmick. Yes, I know that stunt casting by its very nature is a gimmick, but Holly was a very natural addition to Lima, and the fact that she just came and went cheapened her handful of appearances. Plus, I found myself questioning what her role on the show was because it was all for nothing unless Will changes for the better after dating her. The theme of the benefit concert, praising neglected artists, allowed for some of the glee club members who have been overlooked to have their time in the spotlight. Tina finally got a solo, which was cut short due to hecklers (more on that later), Chang got to show off his sweet dance moves, and Mercedes was able to pull off her first show stopping performance. It was nice seeing some of the characters who have been pushed off to the side (thanks to break out characters like Brittany, Santana, and Blaine) get some love, but the execution could have been cleaner. First off, Tina's solo was not given the chance to develop because it was only there to be interrupted by the boos and jeers from the audience. You combine this performance with her blubbering version of "My Funny Valentine", and it's going to be hard to take Tina seriously ever again. 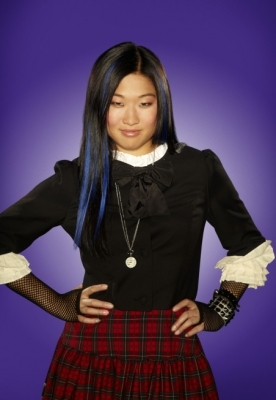 I kind of feel bad for Jenna Ushkowitz. Out of the three, Mercedes was given the most face time as Lauren convinced her to go super diva on the glee club in order to gain some much needed respect. I know that the point of Mercedes' story was to be over the top, but it didn't do the character any favors, and I found myself caring less about her thanks to her self-important behavior. This show only needs one Rachel Berry. 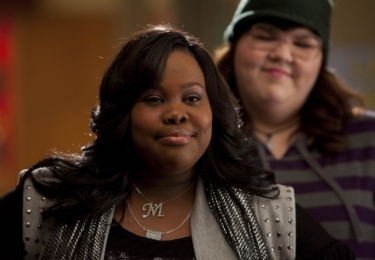 Much like Tina, Mercedes' second storyline of the season was half-baked and made her character seem pathetic rather than likable. The only standout was Mike Chang as he had a dance solo to Jack Johnson's "Bubble Toes". I cannot be mad at an episode that let's Harry Shum, Jr. do his thing. Not only did his routine show case his dance skills, but it also allowed Shum to show off his comic timing, which he does not get enough praise for. Thanks to the Changster, the Night of Neglect was saved. I'm all for giving characters like Tina, Mike, and Mercedes more to do on the show, but "Neglect" was not the way to go about it (except for Chang). Rather than highlighting what these characters can bring to the table, they were either used as a sight gag or as an example of overblown divahood (which was a joke unto itself). All the benefit concert accomplished was it made me want to watch LXD clips online. While Will was trying to encourage his students, Sue was hard at work coming up with her next idea to destroy THE GLEE CLUB. This time around she assembled her own Axis of Glee-vil (aka the League of Doom aka the Legion of Doom) which included Sandy Ryerson, Terri, and Dustin Gooslby. Each had their own task: Sandy was to create a team of hecklers whose goal was to ridicule to gleeks into submission, Dustin was supposed to break up Holly and Will, and I think Terri was there to get back with her ex. I'm pretty sure her role will probably make more sense in the near future. It was clear that Sue's minions were there just for comic relief, and they did bring the funny, but they're probably only going to be sticking around for this one episode. The only real side story focused on the gay/sexually confused characters as Karofsky was brought back to pick on Kurt and Blaine but was told what's what by Santana. OK, so everything that went down in the hallway really wasn't a storyline per se, but rather a preview of next week's "Born this Way" episode. Regardless, it may have been the most interesting scene that involved students from McKinley. My main gripe about "A Night of Neglect" had to do with the fact that it didn't feel like anything was accomplished by episode's end. Sure, it brought back Dustin and Sunshine, and Will tried to use the concert as a way to prep for Nationals, but it felt like the show was just spinning its wheels, which was a disservice. There are only a handful of episodes to pump up the fans for the big showdown with Vocal Adrenaline, but instead of focusing on the task at hand, New Direction wasted its time singing to an empty auditorium (which they do all the time, but at least there was supposed to be a purpose this time around). They didn't even raise the money to get to New York, but I doubt that plot hole will be addressed. All in all, "Neglect" felt like a by-the-numbers, stand alone episode that should have happened earlier on in the season; not at the tail end where it could take up prime storytelling space. On the Music Front: Was it just me or was this episode light on the music? "All by Myself" was good but stuck out because Sunshine's reemergence made absolutely zero sense. At least the writers were aware enough to point out the fact that her being there was odd. Like I mentioned earlier, "I Follow Rivers" was nothing more than a prop for a joke, so it didn't have any real impact. I thought Gwen did an OK job with "Turning Tables", although that's not the Adele song I would've picked for Glee to showcase. Mercedes' version of "Ain't No Way" was great, but I still couldn't muster any emotion for her or her performance. Overall, tonight's songs were a subpar soundtrack for a mediocre episode. The fact that Brittany could be bribed with Dots made her 100 time cuter than she already was. 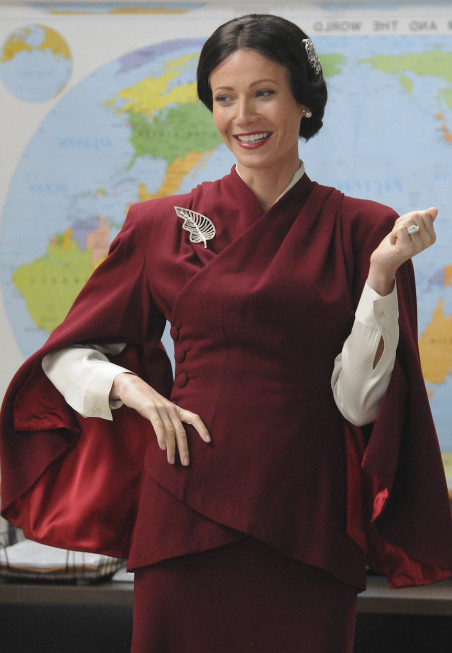 Sue's super villian names for her League were great: Sandy = The Pink Dagger, Terri = The Honey Badger, and Dustin = Sgt. Handsome. What was the point of Sunshine coming back? Will's scene with Emma was both sweet and insulting at the same time. Only Glee can pull off that combination. I didn't know Darren Criss was allowed to be in an episode and NOT sing. His lawyers need to renegotiate his contract. A Mighty Gay Alliance of Blaine, Kurt, and Santana would be FIERCE! Holly's speech to the Heckling Club was a bit on the nose. Sandy running with a pretend cape was priceless. Rachel can be really sweet when she wants to. We need to see that side of her more often. They should just go ahead and make Cheyenne Jackson a regular. I loved Dustin Gooslby. "Is it because two of them are Asian, and Artie wears glasses?" "I'm handsome, I'm good looking, and I'm easy on the eyes. Also, I'm gorgeous." "I have razor blades hidden in my hair. Uh huh, tons. Just all up in there." "The show's gotta go all over the place or something." "You just got poked. Poked by the Dagger." "That song and the weed I smoked immediately prior, it gave me a change of heart." "It's drug money, but you know it's actually a fantastic way to launder it." "A Night of Neglect" was not the episode Glee should have put on after coming back from an extended break. To be fair, "Neglect" wasn't a horrible episode, but it was out of place in relation to the entire season. Tonight really didn't do much to push the larger arc forward, the plot lines were piecemeal and didn't add up to a very coherent big picture, and the theme was a bust. Thankfully Sue's League of Doom was able to supply enough laughs to keep it from being a total waste. Let's hope "Theatricality Part 2: Born this Way" can pick up the slack left behind by this installment. << Next Episode: "Born this Way"
The pink dagger actually donated enough money for them to go to Nationals because of Mercedes performance. Also, it's a good way to launder his drug money. But yeah, i agree with you for the most part. Far too many episodes this season have been just wheel spinning with no forward progression by the end. I thought he only gave enough money to send the Brainiacs to Detroit, but not enough for NYC. Who knows any more?